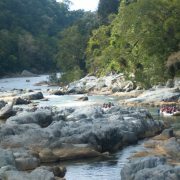 Can you complete the Triple Challenge? 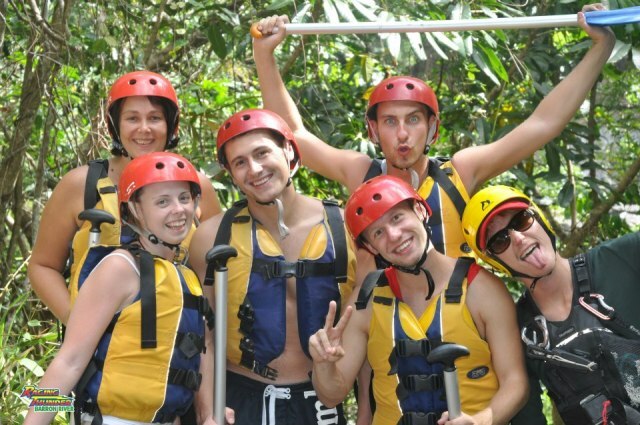 Skydiving, Bungy Jumping and Barron Rafting. 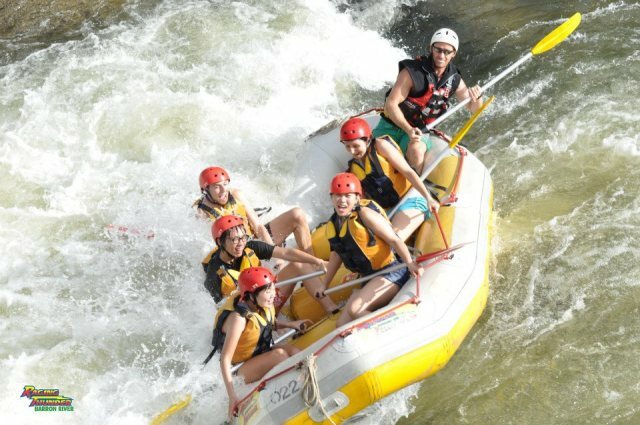 So much fun, it should be illegal! 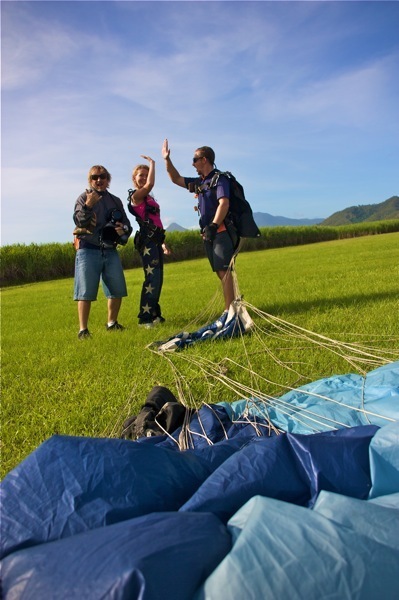 Your day starts off with a Skydive over the stunning Great Barrier Reef from 14,000ft as you drop out of a plane soaring high above some of the worlds most spectacular scenery surrounding Cairns. 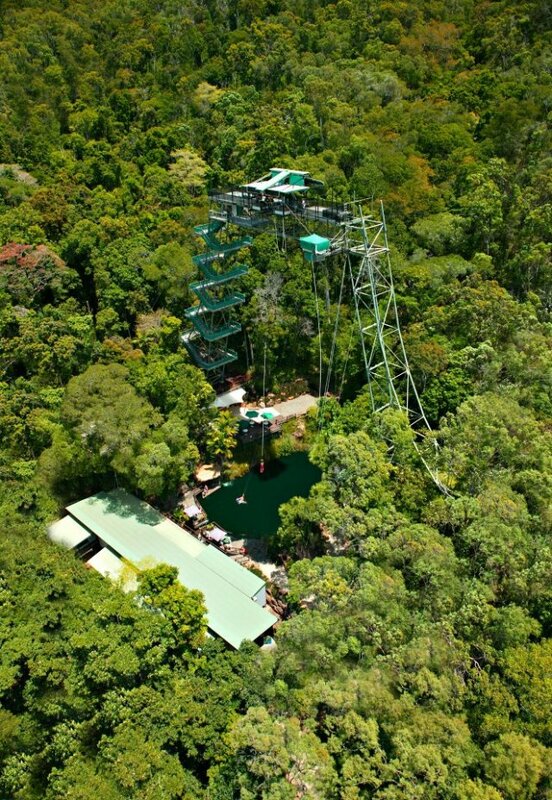 You will free fall for 60 seconds as you reach speeds of over 200 kph. 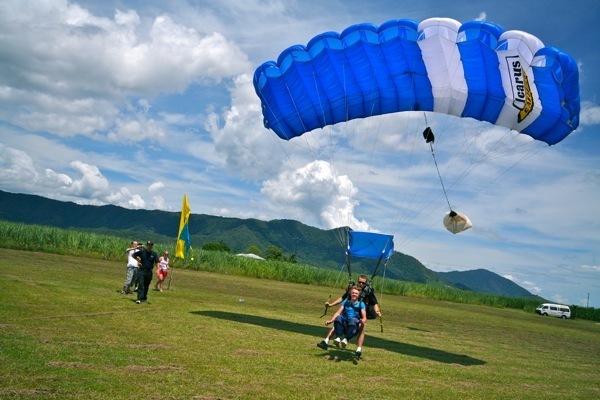 As the parachute deploys, feel the serenity as you gently float down to the lush safe surroundings below. 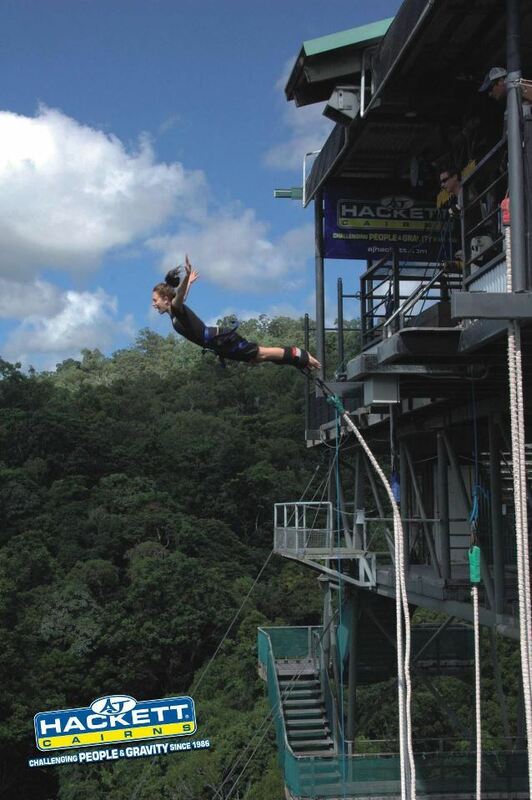 Then, get ready to push your limits and break the laws of gravity at the Cairns Bungy site - Australia's first and only tower. 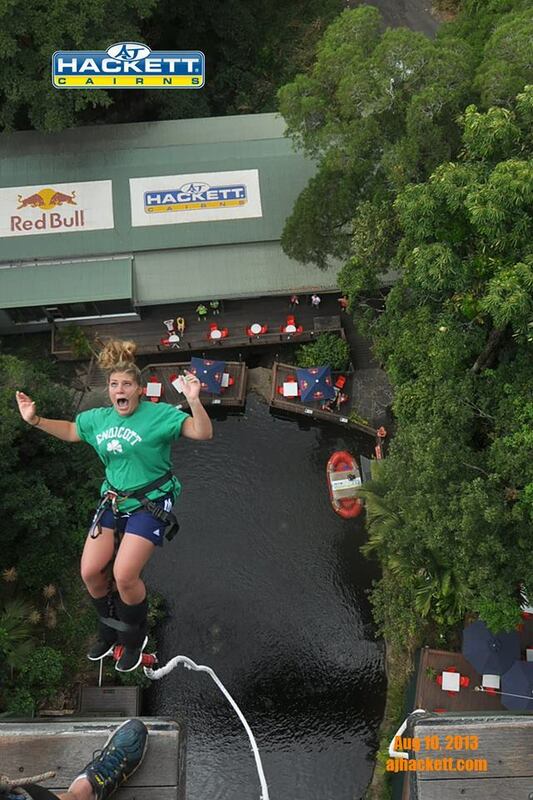 With a world first Jump Menu offering 16 different jump styles, there's a Jump for everyone. 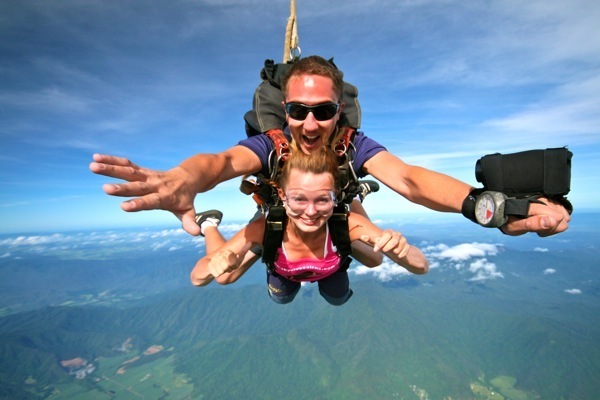 Whether you are a first time jumper or a seasoned thrill seeker, we guarantee we've got a jump to take you out of your comfort zone and a bit more! 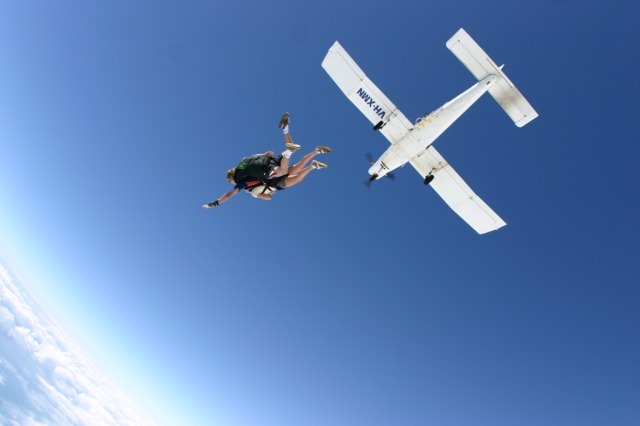 There's nothing like a little adrenalin hit to remind you you're still alive!! 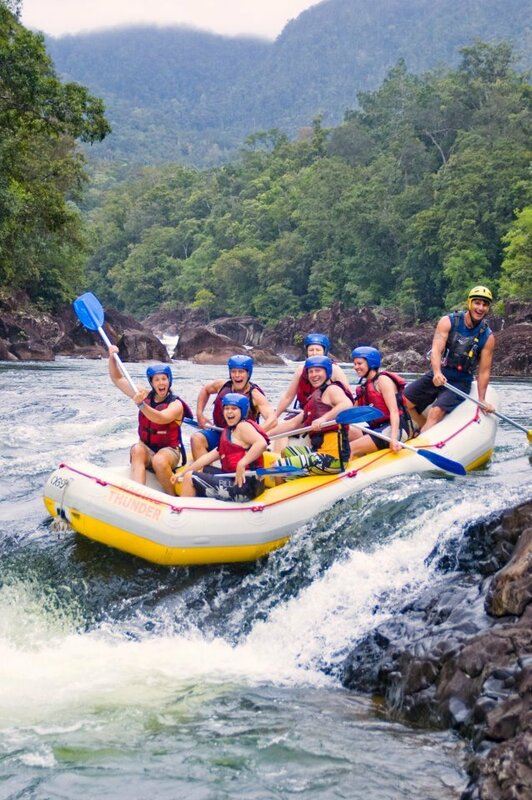 The Barron River is perfect for anyone who has never tried White Water Rafting or for those looking for an afternoon of fun and excitement close to Cairns! 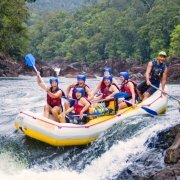 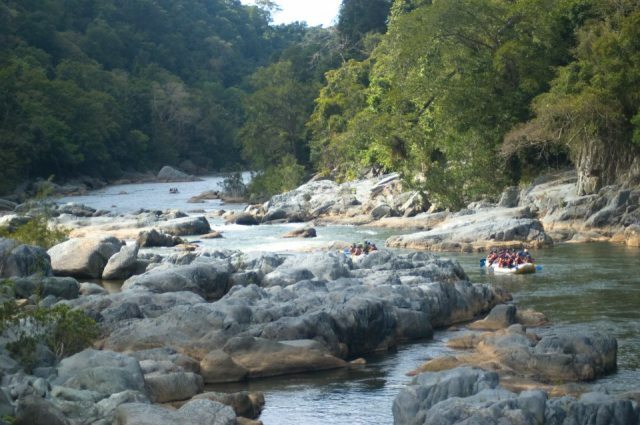 Your guide will take you on an eco-adventure through the Barron Gorge national park aboard your 8 person inflatable raft, tackling grade 2 and 3 rapids including the infamous Rooster Tail where an action photo will be taken. 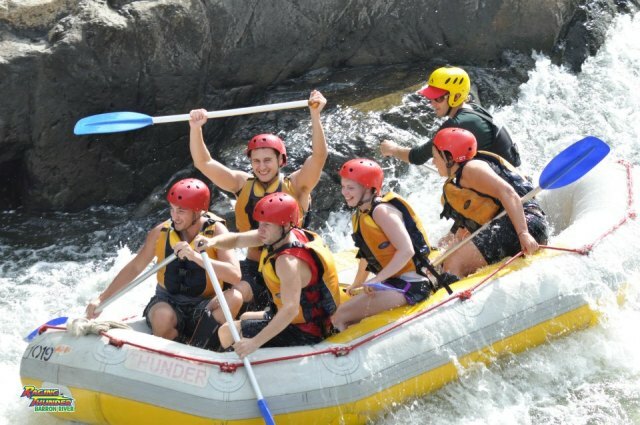 Plus you'll get the chance to try raft surfing (dependent on water levels) and to cool off with a swim in Lake Placid.